We have been aware of nuclear/atomic radiation for over a century. Over those years our knowledge of what radiation is and what its properties are has changed considerably. 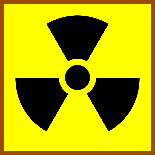 At times some of the properties attributed to radiation have been quite remarkable. The talk will try to separate the myths and the facts about radiation. It will cover what are the true properties of radiation and will introduce some of the early pioneers who worked with radiation. It will also look as some of the early, often astonishing, uses of radiation and will examine some of the myths associated with radiation. Not too many of us know how the way we think (talk to ourselves!) influences the way life goes. Our minds, that's our amazing brains with countless neurons plus the personality that makes 'me' a one off 'self'. A self that knows all I believe to be true about me and my world. No need to wake up in the morning wondering how to 'be'! So lots of our living is habituated behaviour. We will enjoy exploring how our habits, attitudes and beliefs are a bit like a GPS we may use in our cars. We programme that to get us where we want to be! Did you know that some ninety percent of our behaviours are habituated? By the way, the mind decides what matters enough for us to notice things. 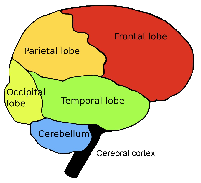 There is so much sensory information bombarding your awareness system that a lot is blanked out. As you read this, notice how your feet feel in your shoes, your bottom feels in the chair. Do an inward tour of your body and see what's going on! Try this for fun: Set off to a car park when it's a busy time in town. Talk to yourself about how there are never any spaces to park in and what a drag it will be. Get fed up about it ...'I knew this would happen' talk. Now do the above again with a very positive expectation of using your sharp eyes and experience to snap up a great space just by the shops you want to go to. Does our mindset make a difference? You bet it does and Malcolm will prove that to you when you come to the meeting. He can promise you that we will enjoy a lot of ideas and little activities together all based on the research of cognitive psychology made simple to grasp.